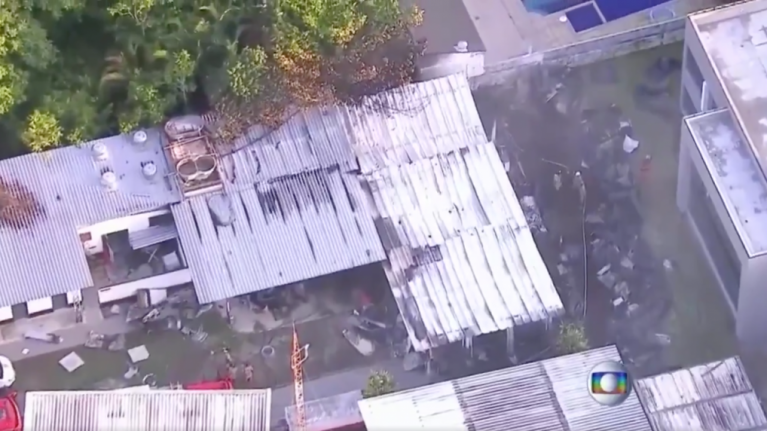 The fire engulfed a dormitory at Ninho de Urubu, the youth team training centre of Flamengo in Rio De Janeiro, at around 5am local time on Friday morning. The fire was under control by 7.30am. The ten victims are yet to be identified but have all been reported to be young athletes by local media. the dormitory is known to have been home to players aged 14 to 17. A tweet from Flamengo on Friday morning said the club was "in mourning". Tributes poured in from the world of football. Former player, who is now at Real Madrid, tweeted "Such sad news. Pray for everyone. Strength strength, strength." Clubs including AC Millan, Real Madrid and Atletico Madrid have all offered condolences. We are very sorry for the young players who lost their lives in fire at @Flamengo's training center. Flamengo finished eighth in the Brazilian Série A in 2018.